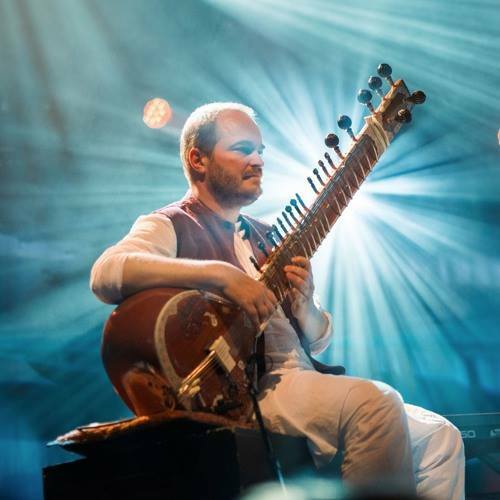 SITARDUST is a Belgo-Indian musical journey. 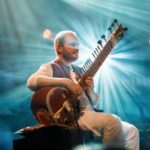 It is a journey for the sitar which, departing from Varanasi in North India, first travels south to meet the sophisticated rhythms of Bangalore, then heads west to Brussels, mixing with European jazz, classical and folk flavours. It is also a journey for the listener, unique and stimulating, where musical instruments spread their happy and profound, optimistic and melancholic, frantic and tender, waves of beauty. Born in 2012, SITARDUST frequently performs in Belgium and sometimes in India. Their first album, released end of 2016 by Homerecords, is the fruit of several years’ work. A musical delight featuring B.C. Manjunath (mridangam), Carlo Strazzante (percussion), Renaud Crols and Catherine Graindorge (violins), Raphaëlle Brochet (vocals), Frédéric Becker and Grégoire Tirtiaux (saxophones), Charlotte Danhier (cello) and Joachim Lacrosse (sitar and composition). Sound : Michel Andina. Art Work : Romain Renard.